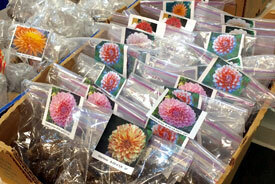 Upper Carriage House - 1:00 p.m.
Dahlia 101 "Planning Your Dahlia Garden"
our first bake-off! Bring your best! Blind tasting. "LIDS Best Irish Soda Bread", in effect until March 16, 2017. 1. 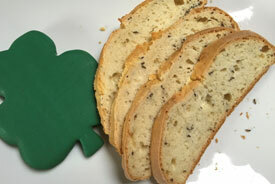 Bring your own homemade Irish Soda Bread, cut up in advance for the tasting. 2. Conceal your entry in a brown paper bag. 4. Your entry will be assigned an entry number. 5. Members will do a blind taste test and then vote by secret ballot. 7. One vote per person. If anyone would like to do the Irish jig as a closing act, we will clear space for you. Who said this? "I am who I am: an Irish Catholic kid, working class from Long Island. And I made it big." Irish Coffee Pub - 12:00 p.m. - 4:00 p.m.